The French political philosopher and historian François Guizot (1787–1874) was one of the French Doctrinaires, thinkers who sought to avoid the interpretations of the Revolution advanced by either extreme of Left or Right. 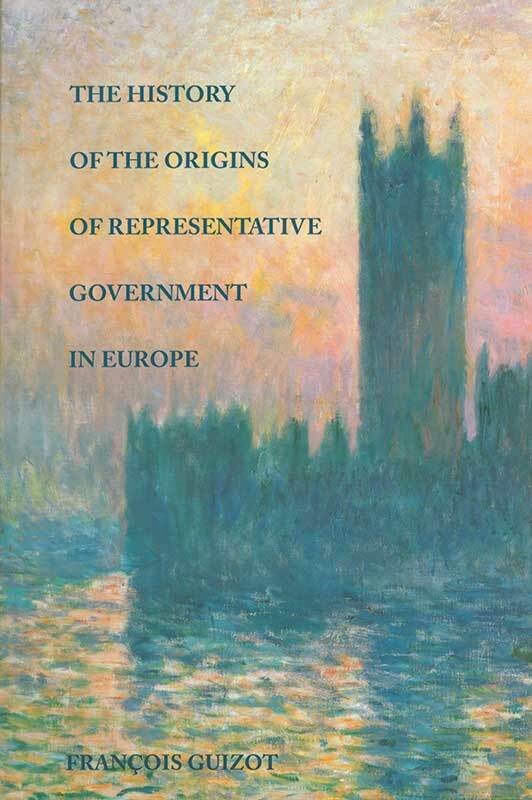 He argued that in order to understand the nature of political institutions it is necessary to study first the society, its composition, mores, and the relation between various classes. At the very center of his theory lies the principle of the sovereignty of reason. Aurelian Craiutu, Associate Professor of Political Science at Indiana University, writes in the Introduction: “A cursory look at the table of contents shows the originality of this unusual book: it combines lengthy narrative chapters full of historical details with theoretical chapters in which Guizot reflects on the principles, goals, and institutions of representative government.” The first part of the book covers the period from the fifth to the eleventh centuries and such topics as the “true” principles of representative government and the origin and consequences of the sovereignty of the people. The second part spans the Norman Conquest to the reign of the Tudors in England and analyzes the architecture of the English Constitutional monarchy. François Guizot (1787–1874) was a French historian, political philosopher, and politician. Aurelian Craiutu is Associate Professor in the Department of Political Science at Indiana University, Bloomington. Introduction, editor's note, preface, descriptive table of contents, index.